Porto Rafti Athens: Porto Rafti is one of the most beautiful coastal settlements in Attica, located 35km south east of the city centre.The beach gets very popular in summer, due to the numerous visitors taking a short break from the daily routine. The beach is well-protected from the strong winds due to the two rocky islands that block them. There are some umbrellas, sundecks and beach bars in Porto Rafti, where the young crowds gather. There is plenty of parking space but during the weekends there is serious traffic on the way there. The surrounding area offers plenty of cafeterias, night bars and excellent taverns. There is a small port close to the area for your boating holidays. You can even get to Artemida (Loutsa). 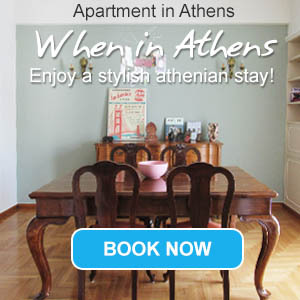 This region gets so popular as many Athenians have holiday homes there.